Summer Time Car Sales and Graduation Gifts!! McCurry Motor Company is excited for summer time! The weather is warming up and so are the deals on our great buy here pay here vehicles. Got an upcoming graduate or birthday? We have a vehicle for you. Looking for a new ride to enjoy the summer, we have something for you! Just need a new vehicle, come on by and let us approve you today. You can also visit us at www.mccurrymotors.com to get pre approved and browse our inventory ( https://mccurrymotors.com/newandusedcars.aspx ) or call us at 256 230 0006 for our Athens, AL buy here pay here lot, and 256 713 0575 for our Huntsville, AL lot. Give us a call today or stop on by and let us set you up with a great buy here pay here vehicle with a warranty today. Thanks to all of our great customers! Huntsville and Athens, AL hurry up to McCurry Motors on Max Luther and the Parkway in Huntsville, AL and highway 72 east in Athens, AL. We are stocking incredible select inventory right now and we want your business. In a divorce? no problem, credit problems? let us help, care broke down or been burned before? let us fix it. Come to McCurry Motors today where the customer is number 1 and every vehicle sold with our in house financing comes with a warranty! We will do everything we can to get you approved and cruising away a satisfied customer! Visit our website at www.McCurryMotors.com to get pre approved and check out our inventory or just come by the lot and see what we can do! Come let us make your day and get you riding away at McCurry Motors today! RAINING but great day to buy a used car in huntsville or athens at one of our buy here pay here lots. Last Day of the month> Get your used car with a warranty today!! Welcome 2018 and bring it on. McCurry Motor Company is excited about the new year and the new possibilities and customers ahead of us. Winter has set in but we are still open almost every day here to take care of your used car shopping needs. Rain, Snow, Sleet, or Shine, we will do everything we can to be here for you, just call 256 230 0006 to check if we are open when the inclement weather rolls in, most likely we will be here! We also have a great selection of inventory at the moment including trucks suv's and cars. With tax season right around the corner our inventory is loaded up and looking good some come on by we have a vehicle for everyone! 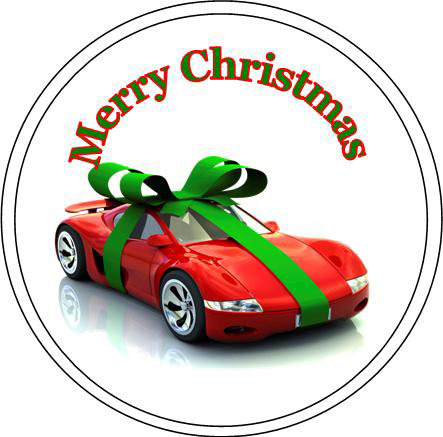 McCurry Motor Company is wishing everyone a very merry Christmas and we thought we would kick it off by letting you know some of the things we have learned about dependable used cars! 1. CVT Transmissions are expensive and not dependable! 2. RAV 4 transmissions have consistently let us down as have Jeep Compass and Jeep Patriots. In fact, the Compass and Patriots are definitely on the "DO NOT BUY" list. 4. Honda seems to have rebounded back and there 2008-present like their streak from the late 90's of real quality vehicles. 5. Tahoes and Suburbans are expensive, but man they are dependable and they are great SUVs. 6. The Ford Fusion 2010-present and the 6 cylinder Sonata are good cars that we love and have owned several personally of each make. These are some of the things we have learned over the years (among others) and some rules we live by when we are looking for new inventory. Hope everyone has a great Christmas, and we look forward to seeing you all next year! Christmas is less then two weeks away, in fact its only 10 days away and we have a great new selection of inventory right now at McCurry Motors Athens and McCurry Motors Huntsville. Come on down to either one of our convenient locations, Huntsville located on the corner of Max Luther and the Parkway, or in Athens on Highway 72 only 5 minutes from Madison! Our inventory is listed online with photos where you can easily shop for you next vehicle. Financing is not a problem at McCurry Motors and we will find the right vehicle for you no matter what your situation is. All you need is proof of income (two most recent check stubs), proof of residence (power bill, utility bill, phone bill), and valid drivers license and we will get you rolling. If you need a vehicle and are looking for financing to help you out during the Christmas and the Holiday season just hit us up at one of our convenient locations and we will do our best to take care of you. With Christmas fast approaching now is as good of a time and spring right around the corner now is a great time to come by McCurry Motor Company and purchase one of our quality used vehicles. We offer in house financing with our buy here pay here program and as long as you have a valid drivers license, proof of income and proof of residence we can find a financing play and a vehicle to fit your needs. Our 9 month warranty is unheard and one of the best in the areas. If you need a vehicle or want to buy a vehicle for someone special come by one of our lots and speak with a sales associate today. You can call us at 256 230 0006 or go to our website and check out our inventory at www.McCurrymotors.com . As always we are pushing it every day at McCurry Motors. We are reloading our inventory every week and thanks to our incredible customers we are able to continue doing this. It seems like by the time we have the new inventory ready and available we are already waiting on the next delivery! Right now is a great time to purchase a used vehicle from McCurry Motor Company. Our inventory has never been better, we are reloading it faster then ever and the quality of our cars continues to go up. Our Buy Here Pay Here warranty is the best in North Alabama and we truly do take care of our customers. We offer our warranty because of the confidence we have in our vehicles to start with and that will continue. If you have credit issues or bad credit no credit we have the used car for you. As long as you are employed, have proof of income, valid drivers license, and proof of residence we can find a deal to make any customer happy. Our inventory contains previously owned vehicles of all makes and models and there is great used car at a good price for everyone. Visit us at www.McCurryMotors.com or www.McCurrysaysyes.com today to apply online and now you can even shop online, that's right! With our updated website we now update our inventory online every night so once you see the vehicle of your dreams just drop by and well get started! Or you can even apply online at https://ssl-mccurrymotorscom.dcs-cms.com/creditapp.aspx? 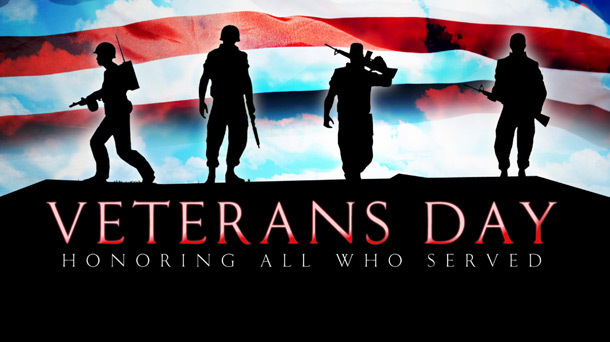 Once again, McCurry Motors would like to thank all of our Veterans and current service men and women for all that they do and have done. McCurry Motors has had a great month of October. Our Octoberfest special, 99$ down special, was a great success. We are happy to have added so many great people to our customer base and look forward to this month being one of our best ever. The sales alone were strong and the special was a great chance for many customers to get the car they needed no matter the circumstance. The best part for us at McCurry Motors is all of the great new people that we can now call our customers and we want to thank these new customers once more. In the future we hope to add many more great customers just like we are always trying to do. When you are ready to purchase a great used vehicle with a warranty or need help with your financing and need a great vehicle for a fair price our buy here pay here service is always available and one of the best around. We will do whatever we can to help get you in the car you need and help you build your credit. We dont care if you have good credit bad credit or no credit at McCurry Motors we can work around that. WIth the Holidays fast approaching and winter on its way, now is as good of a time as ever to buy your next vehicle. If you are looking for the perfect Christmas gift for a loved one or need a new vehicle be thinking about McCurry Motors and check out our website at www.McCurryMotors.com where you can now apply online and also check out our inventory with up to date pictures and prices. It is a great new way to shop McCurry Motors. All for the month of October if you need a used car and have bad credit come to the lot and mention Halloween Special and get a car for 275$ down with a job and proof of residence. Come today and drive away happy. look at our Buy here pay here business and check out our buy here pay here google reviews today! !